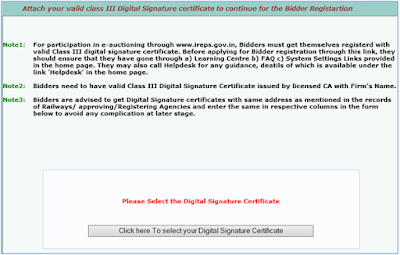 Click on the link New Bidder (E-Auction) available in the left navigation of IREPS home page to open the bidder registration page. 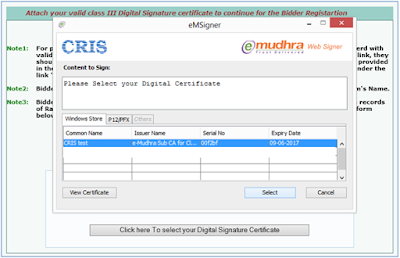 Click on the button Click here to select your Digital Signature Certificate to select your Class III Digital Signature Certificate (DSC). Select your Digital Signature Certificate and click on the Select button. Fill the Registration Form, fields with * are mandatory to fill. 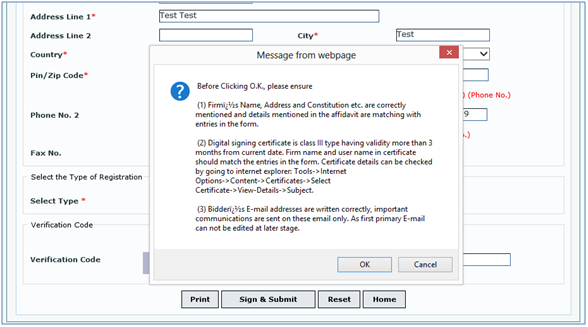 Select the type of registration Online or Manual. 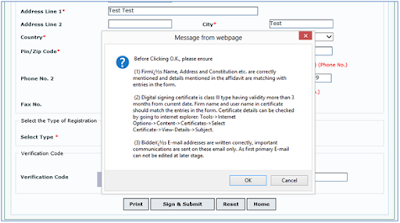 Select Manual for the type of registration and click on the Sign& Submit button. Click on the OK button to proceed further. 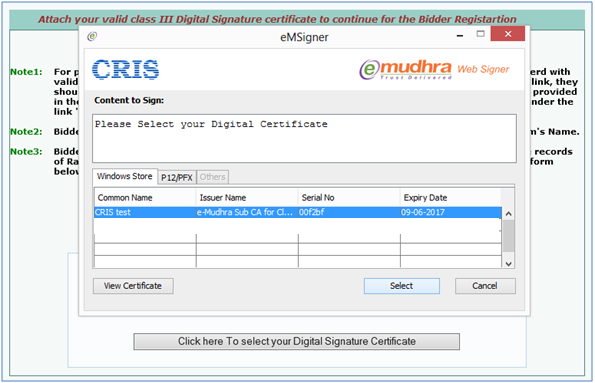 Select the Digital Signature Certificate to sign and click on the Select button. 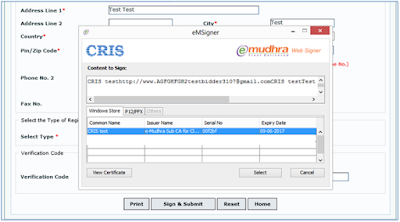 After successful submission of registration form, you will get a Registration Request ID, keep this request id for future references. 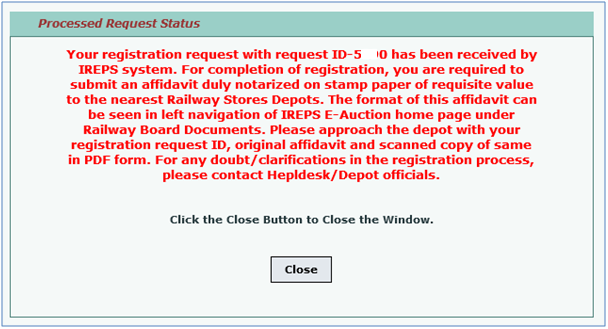 Approach to the nearest Depot with Registration Request ID, Original Affidavit and Scanned Copy of Affidavit in PDF format. 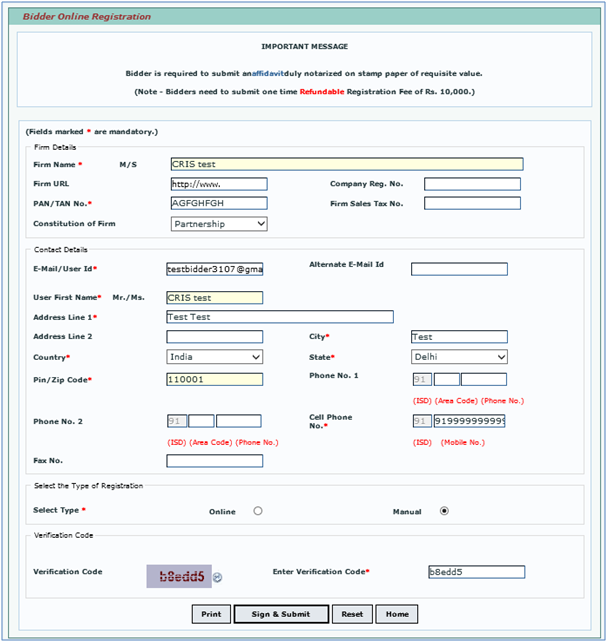 Deposit the one-time registration fee of Rs. 10,000/- and get the receipt. 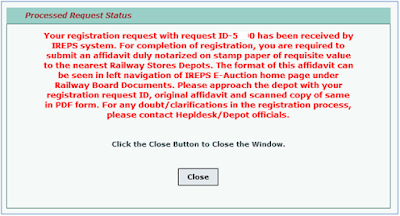 Authorized depot user will check your registration form after logging into IREPS application and if found OK then he will upload the affidavit, and fee details and approve your registration request. 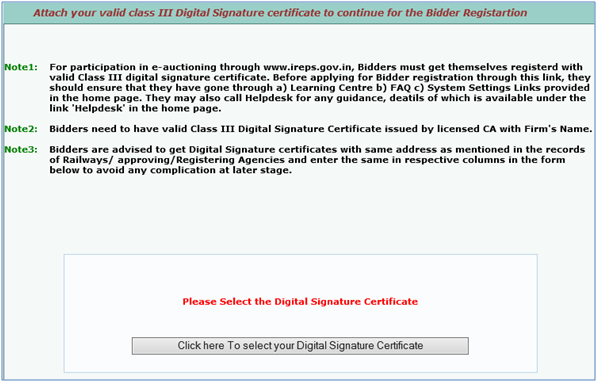 After approval, Bidder will receive an email containing Login Password to log into IREPS application and the Bidding Password for participating and bidding in auctions.